“…And he said: The Lord will roar from Zion, and utter his voice from Jerusalem, and the beautiful places of the shepherds have mourned, and the top of Carmel is withered,” Amos 1:2. Mount Carmel is in Haifa and it overlooks Jezreel Valley – where the battle of Armageddon will take place. It is also the very place where the prophet Ezekiel called fire from heaven upon the prophets of Baal. In our time and days, we are living in and witnessing - “End Time” events …that must take place! The Bible warns us that in the Times of the End - there will be “signs in the heavens and on earth!” How do we know that we are that generation? Nothing, could happen until Israel was back in her land and this finally happened in 1948. Before that nobody in previous generations could even imagine the possibility of that happening until 1897 when the puzzle began to come together piece by piece …but, still could not happen until “the Fig Tree (Israel)” blossomed; Matthew 24:32-34, “Now learn a parable of the fig tree; when its branch is yet tender and puts forth leaves, you know that summer is near. So likewise, you, when you see these things, know that it is near (even) at the doors. Verily I say to you, this generation shall not pass until all these things are fulfilled.” There is only one place in the world that God has declared as holy, and that’s Mount Zion and the land of Israel. The prophet Isaiah wrote this; “Then the moon shall be confounded, and the sun ashamed, when the LORD of hosts shall reign in Mount Zion, and in Jerusalem, and before his ancients gloriously,” Isaiah 24:23. There is only one people that are God’s “chosen people,” and they are the Jews; “And I have put my words in your mouth (the Jews), and I have covered you (Israel) in the shadow of My hand, that I may plant the heavens, and lay the foundations of the earth, and say unto Zion, You are My people,” Isaiah 51:16. And there is one main event in bible prophecy that has to happen to usher in the time that the Bible calls the “Last Days” (End Times) or the “Time of Jacob’s trouble” -and that event happened on May 14, 1948. God gives us “signs” in the heavens and on the earth… Like the “Parable of the Fig Tree” we won’t only know when His Kingdom is at hand …but we will know when it’s at the door! When Yeshua (Jesus) used the word Generation in Matthew 24:34, He was referring to the Jewish people identified by them receiving the Word of God (the Bible) and their culture symbolized by “the Fig Tree.” He was NOT speaking of an individual’s birth, but the birth of a nation – a nation of people having the same characteristics, traits, and pursuits and that have a kingship with the land of Israel and the City of Jerusalem and are unlike any other race of people on the earth. A generation that has a starting point also has an ending point… We believe all the numbers in scripture that identify a specific generation and/or important events - predict the end time generation. The numbers: 120, 100, 70, 50, and 40 all have to do with prophecy fulfilled or a significant period of time to which we all need to pay close attention! Israel was in the Egyptian captivity for 400 years (some manuscript say 430) or 4 generations of 100 years each. Israel was in the Babylonian captivity for 70 years. Daniel speaks of a period of 70 Weeks of Years or 490 years (70×7) as spiritual punishment for Israel’s sins. 469 years have been fulfilled! 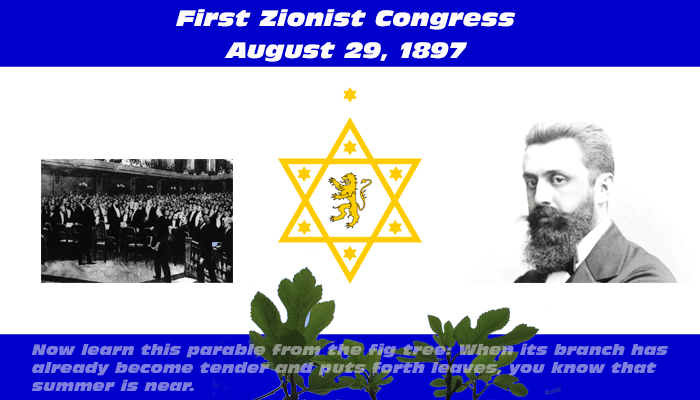 In 1897, Theodore Herzl formed the First Zionist Congress in Basel, Switzerland to form the homeland for a Jewish State in then Palestine. Here we see the "The Law of First Things" in operation. This was the first budding of the Fig Tree, not 1917, which was the second budding. So, 120 years from 1897 brings us to 2017! In 1917 - The Balfour Declaration was issued giving the Jews legal right to return and settle their land - 100 years from 1917 is 2017. In 1947/8 - Israel became a Nation again after 2500 years of exile. 70 years from 1947/8 is 2017/8. 1977/8 - the year when Israel reached maturity! 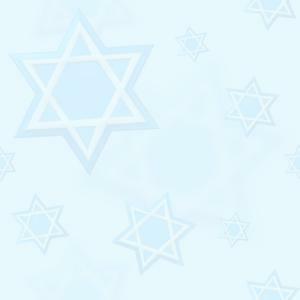 According to Jewish history and culture, an adult male is considered mature at age 30. This is also the required age for priesthood under the Levitical system. Consider that Yeshua (Jesus) said in Matthew 24:32, that when "the Fig Tree" has budded (birthed) 1947/8 and spreads forth its leaves (maturity) 1977/8 = 30 …that generation will NOT pass until all prophecy is complete. Israel officially became a nation in 1947/8 as she was re-birthed in her land and reached her maturity in 1977-78 (remember the Hebrew (Biblical) Calendar Years begins on Rosh Hashanah (Feast of Trumpets) September/October and not January). We are the "Fig Tree" generation that has completed a full generation taking into account all the numbers given in the Bible for a generation. The number 40 is a period of "complete testing" for a nation and an individual. The Jubilee Year was 50 years in which the land and people were released – delivered and set free. 2017 is going to be a pivotal year in the history of Israel. Everything happens prophetically and Israel is the world’s alarm clock! You see God does nothing without first warning us… Amos 3:7; "Will God do anything unless He reveals it to His servants the prophets?" Please notice that He did not say just anybody, but His "faithful" – the watchmen on the wall (Isaiah 62:1-7). Joel 2 teaches us that, "we will see wonders in the heavens and on the earth." Acts 2:19 teaches us the exact same thing. Over the last weeks and months, we have been witnessing many things on earth and signs in the heavens… Towards the end of last year, we saw the "super moon" and just recently in December 2016 we had another "super moon." This hadn’t happened in over 70 years when Israel became a State. The Word of God says that just as we had the signs in the heavens so we shall have signs on earth below! Recently Israel was hit with a "super fire" …and so too in Tennessee and California in the USA. The Word of God is extremely clear as we see in Hebrew 12:29 - that our God is a consuming fire! Psalm 73 says that "Fire" goes before and burns up His enemies around! God teaches us in His Word that in the Last Days He is going to judge this world by "fire!" There will be "signs" (Acts 2:19): Blood – Pillars and Smoke! It’s way behind these fires. There’s a super increase of fires in various places. We have seen and heard how Muslim terrorist used knives to stab innocent people in Israel and much blood was shed. From fires, we get smoke and the continual activity of these Islamic attacks people become fearful that next it could be nuclear war. The Word of God teaches that a "fire" goes before… and so some may say; "It was just done by arsonists?" Yes! But, then how do you explain the winds that suddenly came up and the fire spread like a tinderbox? How do you explain the fire tornadoes that went through the same areas where arsonists set fire in the USA? Many people prayed for rain so that the fires in Israel could be quenched…! How do you explain that in times of great despair as people were literally crying out to God from across the world that rain would come down strong on the whole land of Israel …and then the rain happened? 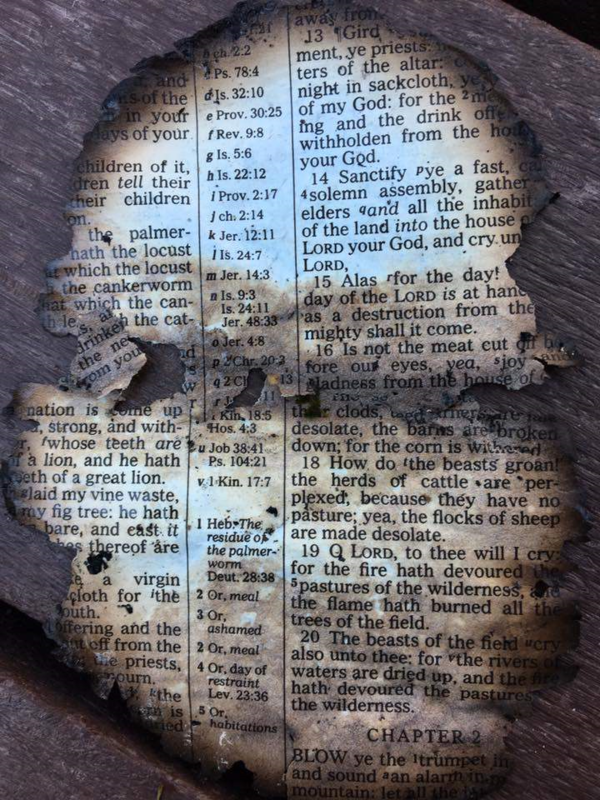 How do you explain that in the fires of Tennessee and Gatlinburg a young man found a Bible verse of Joel 1:15-20 in the smouldering fire, with that verse surviving? "Alas, the day of the LORD is near, the day of the LORD is at hand as a destruction comes from the Almighty. How terrible that day will be. To you LORD, I call, for fire has devoured the pastures in the wilderness and flames have burned up all the trees of the field. Even the beasts of the field pant for you because the water brooks are dried up, and fire had devoured the pastures and the wilderness." The Word of God is clear in the Last Days the world will be judged by fire! You see the nations turning away from God and this is especially happening in America and Europe. God says it will be like days of Noah - but our day will be judged by fire not water! As we see the possibility that we may be the "generation" Yeshua (Jesus) was talking about in "the fig tree parable" nearly 2000 years ago, …we are admonished by the Scriptures to watch and be prepared. As stated clearly by Yeshua in Matthew and Mark, no man knows the day or the hour of His coming but the Father only (Matthew 24:32–36 and 1 Thessalonians 5:4). The same Yeshua, however, was very angry with the Pharisees and Scribes for not discerning "the signs of the times" …and for not knowing the "time of their visitation." In these thought-provoking, dangerous and challenging times – yet exciting, privileged times in which we are living …we need to be informed and discerning just like - "the children of Issachar, which were men that had understanding of the times, to know what Israel ought to do…" (1 Chronicles 12:32). So many events of Biblical proportions have happened over the very recent years and as we look back - we see how they have escalated last year alone… Now let’s turn to Israel "burning!" We have seen so much of Israel burning on TV, in photos and so on and all across Israel …as Arab terrorist were literally setting the country on fire! Firstly, if the Arabs truly loved Israel they certainly would not set it on fire. Secondly, we must remember Islam is an ideology of "death and destruction" - therefore "peace" with non-Muslims or as they call us "infidels" is NEVER unless their plan is to conquer! 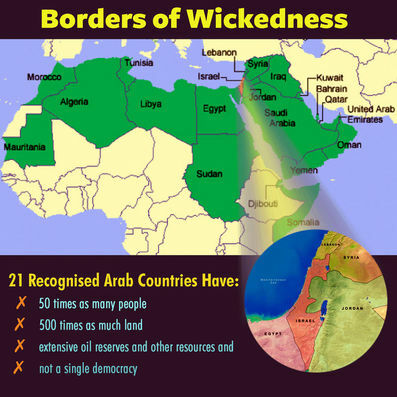 The border of wickedness… Malachi 4:1-4, "They shall build, but I (God) will throw down!" This Scripture is very interesting! No matter how much the Muslims try and even the rest of the world would help them, everything the Palestinians (Edomites) build up against Israel - God will in turn tear down. The arrogance of those that oppose God, God will oppose. This applies not only to the Edomites but to all nations, as well as the individuals who oppose God! The Lord stands ready to receive and hold all who will come to Him …but to those that oppose Him, the same will they receive from Him - judgment where blessings could have been enjoyed! The Hebrew word "Edom" means "red," and is derived from the name of its original founder, whose name was Esau, the elder son of Isaac, because he was born "red all over." Later, as a young adult, he sold his birth-rite for a bowl of "red lentil stew" to Jacob (Genesis 25:29-34). The Old and New Testament describe the Edomites as descendants of Esau. "The vision of Obadiah. Thus, says the Lord God concerning Edom; We have heard a rumour from the Lord, and an ambassador is sent among the heathen, Arise, and let us rise up against her in battle," Obadiahâ€¯1:1. The word rumour should be report. It was prophesied that God would send a message in this End-Time about Edom. Obadiah means "worshiper of God" and that is all we know about this prophet as the prophet remains almost hidden. God wants us to focus on the message -The "vision" of Obadiah is a technical term for an End-Time prophecy. Obadiah 1: 15-21; states that that "the Day of the Lord is near" and it is a time just before God’s Kingdom rules this Earth and we are living in these times right now and sets the time frame for Obadiah’s message. Turkey and Iran are the modern-day nation supporters of Edom since they too are Ishmaelites. This prophecy may well apply to betrayals of Jacob or Israel by Turkey as well …but the primary meaning is directed to Esau/Edom. "For violence against your brother Jacob (Israel), shame shall cover you, and you shall be cut off forever! In the day that you stood on the other side – in the day that strangers carried captive his forces, when foreigners entered his gates and cast lots for Jerusalem – even you were one of them," Obadiah 1:10-11. Jacob was later called Israel. The historian Josephus records that 20,000 Edomites or Idumeans, were accepted as defenders of Jerusalem in 70AD. But, once inside Jerusalem, they betrayed the Jews by robbing and killing them! Reading Obadiah 1:1-9; we see the coming Judgement upon Edom. Obadiah 1:10-16; we see that Edom mistreated his brother Jacob. Obadiah 1:17-21 - we see Israel’s final triumph! In the book of Obadiah and Ezekiel 35:5 it was prophesied that Esau will have a hatred and will kill with the sword… "hurling the children of Israel by the power of the sword" – Calamity caused by the Arabs but Israel’s victory is coming – their iniquity will end! During the year 70AD in Obadiah it was also referred to as "their calamity!" Then we see in Daniel 9:24 we see that their "iniquity" will end. 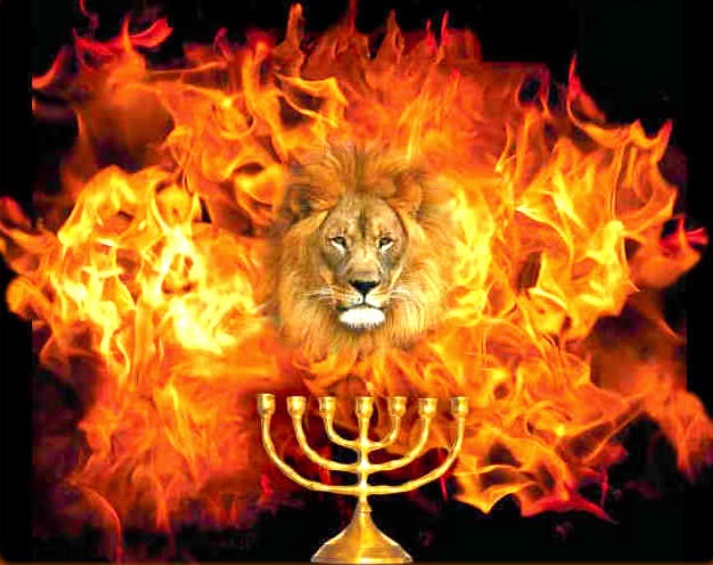 This is the 70th week of that Daniel speaks of, when Israel will have an end of their iniquity and of course where Israel will be restored as a modern nation and their iniquity would be no more …and when they will recognize who their true Messiah is! They have not yet done this. But, the clear thing is that they would be "hurled" to the power of the sword, not only way back in 70AD when Titus the Roman general did to them but also in our modern day when the 3rd (fire) intifada was another fulfilment of the prophecy of Ezekiel. On the 22nd November 2016, the day when the fires began to rage and ravage across Israel we felt a burden to look into what God’s Word has to say about "fire" …and how it could be connected today to the heart-breaking fires that were set deliberately to destroy Israel. The Lord showed us through his Word that nothing is irrelevant even when it simply is so negative or sad. There is nothing that the Lord is not aware of! We are living in prophetic times and in a prophetic year of Jubilee which ends on 29 Elul (20th September, 2017. These fires were set by Palestinian Arab terrorists who sought the destruction of Israel and to bring hardship to the Jews. Palestinian Arabs referred to this as a "fire" intifada (uprising). Over 1,700 fires in 8 days, of which 39 were determined major, 800 homes destroyed, more than 3,035 hectares (7,500 acres) of forests and 1,090 hectares (2,700 acres) of urban areas have been destroyed by fires in Haifa and other areas throughout the country. Praise God that the fire claimed NO lives! If we recall that the previous intifada that also recently took place …what did the Palestinians call it? They boasted that it was a "stabbing" intifada. Many Israeli’s mostly civilians were randomly stabbed and maimed …and some even died from the vicious wounds that these Arab terrorists inflicted upon their bodies simply because they were Jews. This happened all across Israel as Palestinians attacked Jews with butcher knives, meat cleavers and even hammers and at the same time driving their vehicles into pedestrians where most vulnerable Israeli civilians and even children were not exempt from or aware of. 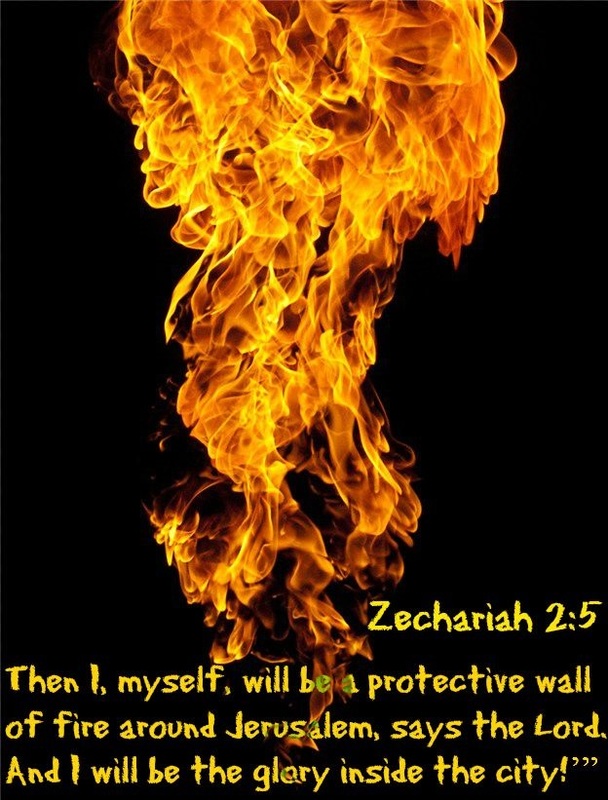 God is going to fight fire with fire! When fire fighters fight a forest fire, they go ahead of the fire and burn out entire sections, creating fire breaks. The fire dies because there is nothing left to consume. Our God is a consuming fire! There have been other fires in Israel. Every tree that is planted in Israel makes up the wooded areas - though the fires were a sad occasion, these recent fires are NOT just like the huge fires that happened few years ago, (2010), on Mount Carmel where people were outraged. Those ffires didn’t change /or have an effect on anybody lives … but simply took away the beauty of the area. These fires of November 2016, however are very significant as they were massive acts of arson that torched people’s homes and ravaged through Haifa and Mount Carmel as well as other places in the country including some in Jerusalem even at the top of the Mount of Olives. This was significant and alarming! Could the prophecy also mentioned in Amos chapters 1 and 2 - the judgements of fire for surrounding nations, and in Israel’s burning, now be in fulfilment too? Maybe! "The words of Amos, who was among the herdsmen of Thecua: which he saw concerning Israel in the days of Ozias king of Juda, and in the days of Jeroboam the son of Joas king of Israel two years before the earthquake," Amos 1:1. Look at the Scripture again. The warning came two years before the earthquake! The warning came in advance of a natural cause – a shaking – a great earthquake! What we are saying here is …are we seeing the warning ahead of a shaking that is coming in our time? Are we listening and are we seeing it? Read further in the book of Amos and see the judgements that followed! Important here in Amos 1:1-2 is two years before the earthquake! The Lord shall roar from Zion… utter His voice from Jerusalem and the top of Carmel shall wither. So, when we see these events taking place on the top of Carmel more events are to follow. Haifa is from the coast up and runs to Mount Carmel at the top of the hill where Elijah called the fire down. Mount Carmel is a beautiful wooded area and from the top of Mount Carmel you can look down at the Valley of Megiddo. When we see the events of Mount Carmel withering take a look at the events that are about to take place… Amos1:3 …when the Syrian army came over into Gilead they actually threshed it from the Golan Heights. Fire will devour the palaces of "Ben-hadar" and Assad of Syria is much like him. The people of Aram (Syria) will go into migration – well this is what happened when the Syrian refugees went over the borders into Turkey and now Europe has this enormous refugees problem that is now flooding Europe. We have Isaiah 17 where God warns us that Damascus will be a ruinous heap. So, we see (1) the first judgement that happens after the "withering of Carmel" is the judgement on Damascus. Now take a look at Amos 1:6 we see (2) next a judgement that is coming upon Gaza. Israel has labelled these arsonists as terrorists and that their citizenships will be revoked. 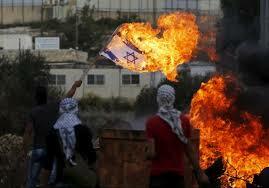 So, if Israel is to take steps against terrorists they will have to send a "fire" – flame for flame against Gaza. They won’t attack Gaza but will retaliate and this will be second judgement. We then see (3) in Amos 1:9 the battle opening up into Lebanon. Tyre and Sidon is entirely occupied by Hezbollah. In this prophecy in Amos 1 and Amos 2 you have a sequence of events. Amos 1:11 – Three transgressions of Edom - Looks like Israel will also be stepping out into Lebanon "with fire on the wall" as with the Turkish situation in Syria the Saudis were talking about making a pincer movement to come up through Southern Lebanon or even Jordan to go against Assad’s troops in Damascus. Why? Because, they require a pipeline for their natural gas through Syria! There is punishment coming upon Ammon and then in Amos 2 there is punishment coming upon Moab. The King of Ammon is driven into exile. Then there will be retaliation against Judah and Israel. The flames on Mount Carmel in Haifa have begun to set this progression of war into motion. Cutting off the eastern part of Syria! It’s not the complete destruction of Damascus but is in the sequence of events. 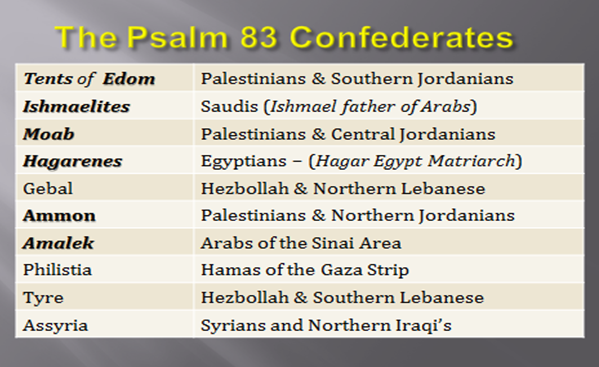 Psalm 83 war on horizon? The United Nations Resolution S181 carves up Jerusalem (1947). Pope Francis allows Muslims to pray at the Vatican and he himself prayed in a Mosque which indicates to Muslims - Dar al-Islam (the home of submission). This is often used by extremists to include areas that used to be part of the Muslim world and so it becomes part of Islam. 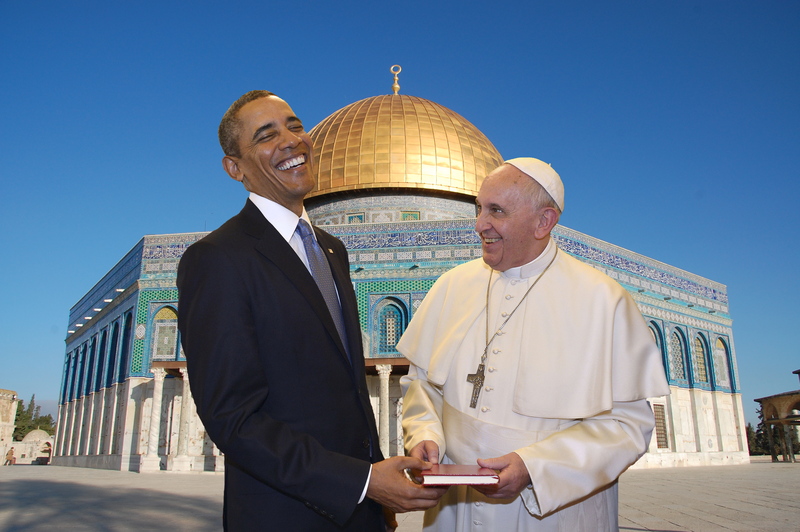 Now why would the Pope allow Imams (Mullahs) to pray in the Vatican? It is simple! Because he has his set plan of a second Vatican in the walls of Jerusalem which will then become a first Vatican. 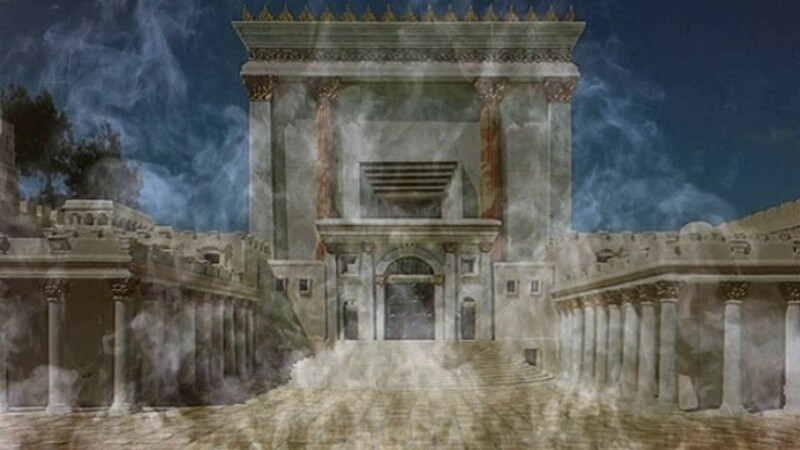 The 3rd Temple will be built and when you read Daniel 9:24 where it says in the English translations; “to anoint the most holy” - in is different in the Hebrew; “Kodesh Hakadashim” and means “holy of Holies” and refers to a “Temple” …it talks about a “Third Temple” (possible 2017?). Clearly with the US Election just behind us all, Israel now has a friend in the White House with US President Trump on board …and Vladimir Putin of Russia on board …and for the first time they will allow this to happen! ISIS (Islamic State) is talking about taking over the Vatican so will the Pope allow this to happen and he move to Jerusalem? Time will tell! Why Jerusalem and what is special about Jerusalem? Most don’t even consider what the plans are for the Vatican. They want to take over Jerusalem and the 3rd Temple will become the bargaining piece. Could it be before the end of the Jubilee year of 2017? Officially, the United Nations refuses to recognize (or allow) Israeli sovereignty or jurisdiction over Jerusalem. The United Nations Security Council Resolution 242 orders Israel to withdraw to pre-1967 borders, which effectively reserves Jerusalem as an INTERNATIONAL city. That means that the UN claims jurisdiction, (shall we say "ownership"?) over it. Think about it! The UN owns no other city in this way, yet world leaders are satisfied to force the issue. Jerusalem is a "burdensome stone" to the world …and they believe the solution to all sectarian claims to Jerusalem is to force it permanently into the public domain. The UN has, since a 1948 mandate, had a permanent "peacekeeping" military installation established on the “Hill of Evil Counsel,” just southeast of the Temple Mount - on the same site where Judas Iscariot betrayed Yeshua (Jesus) to the Religious leaders for 30 pieces of silver. It employs nearly 400 personnel and has an annual budget of close to $70 million. Judas Iscariot crossed this valley to the southeast to a hill where He met with the High Priest Caiaphas and the temple priests who gave him 30 pieces of silver for the arrest of Yeshua (Jesus), (John 11:47-50). Since Byzantine times, it has been called the "Hill of Evil Counsel." Today, the "Hill of Evil Counsel" is the location of the Jerusalem headquarters of the UN. It is tragically ironic that both Judas and the United Nations are distinguished by the act of betrayal. Judas betrayed Yeshua (Jesus), and today the UN is betraying Israel by forbidding them jurisdiction over Jerusalem and forcing them out of the holy – Promised Land. When Judas returned in regret to give back the 30 pieces of silver, the priests could not put it into the temple treasury because it was the price of blood, so they purchased the Potter's Field, called “Akeldama” - meaning "field of blood." (Matthew 27:7-10; Acts 1:18) One tradition says that the Potter's Field is at the eastern end of the Valley of Hinnom. Another tradition claims that it is on the Hill of Evil Counsel and many believe that is where Judas hanged himself. The Garden of Gethsemane sits on the side of this valley, directly across from the Eastern Gate of the old wall. The soldiers who arrested Yeshua would have walked through the valley to find Him, then would have taken Him back down through the valley to the house of Caiaphas where Yeshua (Jesus) was thrown into a dungeon temporarily! Jeremiah the Prophet spoke repeatedly of this valley by the names of “Tophet” and “Hinnom.” He denounced the "high places" and altars the people built in “Tophet,” where they burned their sons and daughters in the fire, and burned incense to the hosts of heaven and poured out drinks to other gods. (Jeremiah 7:31-33; 19:5-7) He also spoke in judgment of the sins of the people of , and warned them that they and the entire city would be broken …"as one breaks a potter's vessel" - and "...bury them in Tophet." This Old Testament reference compares Tophet to a potter's field, where broken shards of pottery are disposed. That relates to Judas' purchase hundreds of years later! Isaiah 30 referred to “Tophet” as a place deep and large where the breath of the LORD kindles “fire” and wood like brimstone, ordained from old in preparation for a “Coming King!” Since the days when Judas Iscariot returned the silver that eventually purchased the Potter's Field, the area has known little use but as a smouldering city dump. Throughout history, the valley has been associated with death, destruction, fire, brimstone, betrayal and judgment! Most significantly, however, is the fact that this is the exact place where Yeshua (Jesus Christ) will return for the battle of Armageddon! The land of Israel was burning and while all this was happening, Muslims were celebrating and Palestinians were handing out sweets in the streets of Gaza and (Judea and Samaria) the so-called “Westbank.” Is this a fore-shadow of judgement to come? 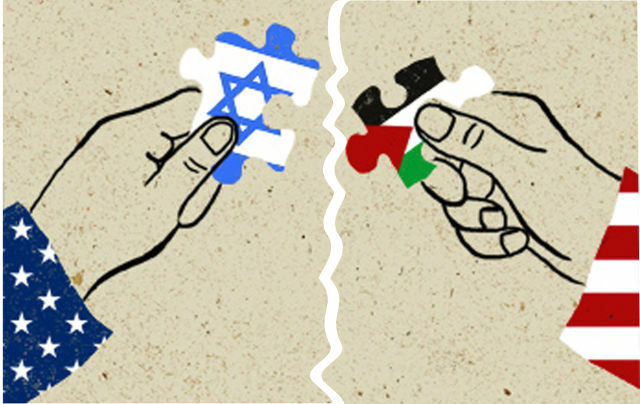 Will Israel be forced to give Jerusalem to the United Nations? Micah 1:1-4, forewarned; “Hear, all you people; hearken, O earth, and all that therein is: and let the Lord GOD be witness against you, the Lord from his holy temple. For, behold, the LORD cometh forth out of his place, and will come down, and tread upon the high places of the earth. And the mountains shall be molten under him, and the valleys shall be cleft, as wax before the fire, and as the waters that are poured down a steep place. For the transgression of Jacob is all this, and for the sins of the house of Israel. What is the transgression of Jacob? is it not Samaria? And what are the high places of Judah? Are they not Jerusalem?” Read the chapter further but pay attention from verses 8-9! Israel made covenant with the world and brought Rome back into Jerusalem! Israel is being set up again just like 2000 years ago, when Yeshua came and was crucified … you see Rome was in control and had a Roman Governor there, had Herod there who killed the children …and yes Israel is bringing Rome in again just as the late Shimon Peres who was given the Nobel Peace Prize and made sure that Rome (the Pope) got to marry Israel. Thank God for Daniel’s prophecy (Daniel 9) - as He makes all these plans of man stumble! As we see Yeshua (Jesus) warns in Matthew 10:15 scripture further as what happened in Sodom and Gomorrah… And, in Genesis 19:24-25; “Then the LORD rained upon Sodom and upon Gomorrah brimstone and fire from the LORD out of heaven; And he overthrew those cities, and all the plain, and all the inhabitants of the cities, and that which grew upon the ground.” Everything in these cities burned and turned into ash, including the buildings themselves just as the Word of God says, that the cities were to be destroyed also. The Bible told us that God rained down "fire and brimstone!” When God rains down fire, it is a consuming fire, just like in the time of Elijah when God sent down “fire” to destroy the stone altar of Baal, the limestone buildings here were totally destroyed and turned into ash (2 Peter 2:6). Israel wants to build a 3rd Temple and begin the sacrifices of bulls and lambs again. This Temple will be rebuilt as the bible warns us but it will be defiled as the antichrist will eventually take it over or force Israel just like the nations are doing right now to give it to him. God’s glory will NOT be in this temple as it was in the previous two temples! It will be an abomination of desolation! And, as the world will be worshipping the antichrist true believers will be persecuted and beheaded for their faith! The world and its sin today is ripe as we have witnessed sexual sin, lawlessness and godlessness on the increase in these Last Days! God’s Word is true! He IS watching to see how the nations are treating His people. God will have mercy on Israel through Gentile believers acting as mediators towards them… This is one of the most amazing revelations ever given to the church – an opportunity to do something that carries the highest priority in the heart of God. Yet… sadly, so few have seen the potential and the rewards of serving God in this manner - as agents of mercy to Israel and the Jewish people! Israel was and still is despised today… and a despisable nation continually turning away from God but nothing ever altered the purpose of God for that nation. The despised element is always a noticeable element in the purpose of God. When the Saviour of the world came, He came of that despised nation; like Israel… He Himself was “despised and rejected by men,” …and there is that despised element, “…things that are despised God has chosen,” 1 Corinthians 1:28. Now more than at any time is the time to support Israel and the Jewish people - the Lord’s Brethren! We are witnessing the nations and people turning their backs on Israel. We thank you for caring and humbly admit that we cannot do this on our own as all of this requires dedicated partners like you who will prayerfully and financially stand with us to reach the goal that God has set before us, together we make the difference. Our presence in Israel is a testimony to the Jewish people that there are Christians in South Africa (and across the world) that love them and support them through prayer and finances. It is our desire to see Christians and Jews working side by side for better understanding and a more secure Israel. For too long, Christians have been silent! For too long, the Jewish people in Israel have had to fight the battles alone. It’s time for Christian individuals and congregations to be… SILENT NO MORE and speak up for the people who gave us the Bible.